Oceans Red Sea offers all-inclusive boat excursions in some popular Red Sea resorts. Choose from full or part day trips with family and friends. Snorkel, swim or simply relax on a comfortable boat with a welcoming, professional crew. Our trips depart at reasonable times so there's no rush in the morning! Our guides are amongst the best in the Red Sea, taking you to amazing sites and sharing useful tips on snorkelling and marine life facts. The Oceans Dolphin Spotting excursion in El Gouna or snorkeling alongside a turtle in Marsa Alam are both 'must do' experiences. Fancy the chance to breathe for longer underwater? Then try the Mini B Experience - safe, lightweight and so much fun. Your trip is an important part of your holiday, so don't risk buying an inferior imitation. 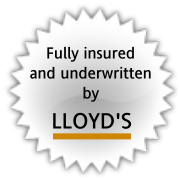 We've been operating for 20 years, only employ professionally qualified guides and are insured to EU standards by Lloyds of London. Our food is highly rated and we only serve individual bottled water and soft drinks. Most importantly, unless you decide to do the Mini B Experience or buy a souvenir photograph, you won't have to pay anything extra - not even for your snorkelling equipment and there aren't many that can promise you that! Unique to Oceans Red Sea! On our longer boat trips, you can have a go with a Mini B and experience what it's like to breathe underwater. The Mini B is small, light and simple to use. At all times you'll be accompanied by one of our professionally qualified instructors ensuring you gain the most from this magical experience. The Mini B experience is extra and paid for on board - see each trip for prices. I was quite anxious about swimming out to the reefs but all the crew were so kind and reasuuring that I felt in safe hands to give it a go. Great trip, wouldn't have missed it for the world. Was very impressed with all aspects of the trip. Great value for money. Thank you to the crew on board for helping me overcome my fear of snorkelling, especially Sophie and Gosia for holding my hand throughout - I was very grateful. First experience snorkelling/scuba diving made extremely enjoyable and relaxing. I felt very safe and the day overall was really good. I would use this centre to learn the full techniques of diving. Had a lovely relaxing time. Instructors very helpful & felt like we were in good hands. The standard of food was excellent. My wife and I had a great time snorkelling. My wife is pretty much petrified of water when out of her depth but the guys made her feel so confident that when we go back she says she wants to do a try dive! I really cannot recommend them enough. Of all the trip excursions we did, you were the only all inclusive one.